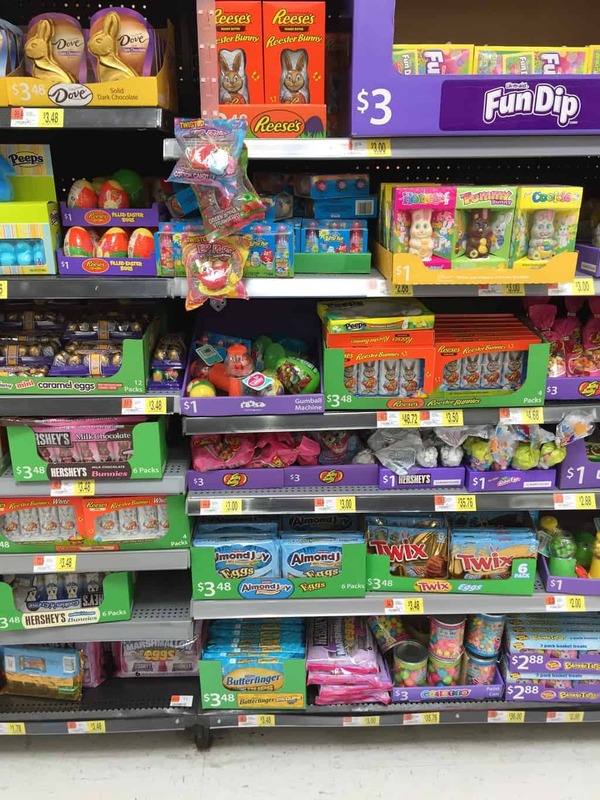 Can you believe that Easter is right around the corner? It’s so early this year that it’s going to be here before we know it. I wrote a post a week or so ago about Easter saying we would probably be sitting around awaiting my nephews arrival but he decided to surprise us and arrive last week. So instead we’ll be oohing and awwing over a cute baby. 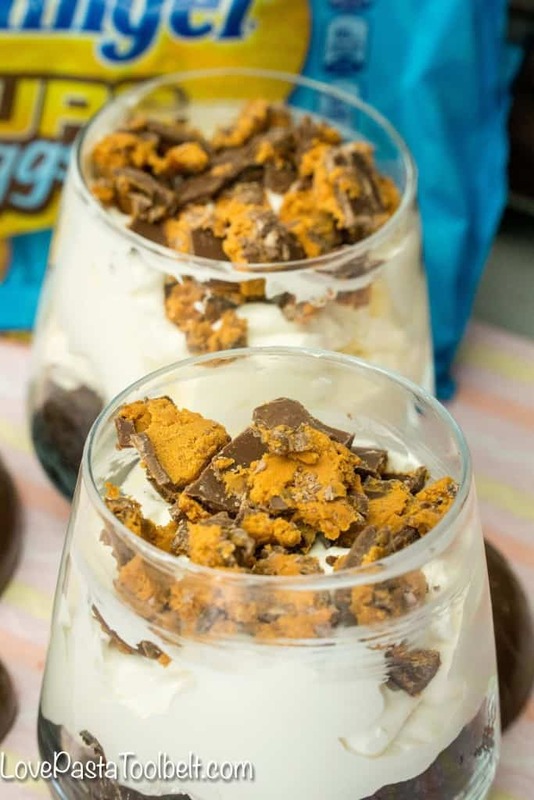 Since my mom will probably be in town for Easter, I figured I should come up with some easy options for us for an Easter meal and that’s how these Easy BUTTERFINGER® Trifles were born! Who remembers the episode of Friends where Rachel makes a traditional english trifle and makes half a trifle and half a shepherds pie? If you’re not as avid of a Friends watcher as me, then you may not, but it’s a great episode! No worries with this trifle because it’s not half a shepherds pie, it’s a delicious mixture of chocolate, cool whip and BUTTERFINGER®. 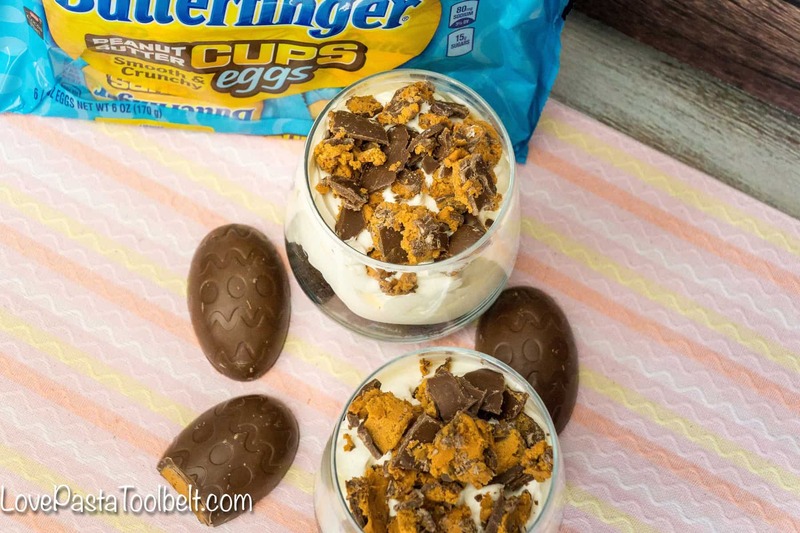 I headed out to Walmart to pick up the BUTTERFINGER® Cup Eggs 6 pk, BUTTERFINGER® Minis and other ingredients to make these trifles! 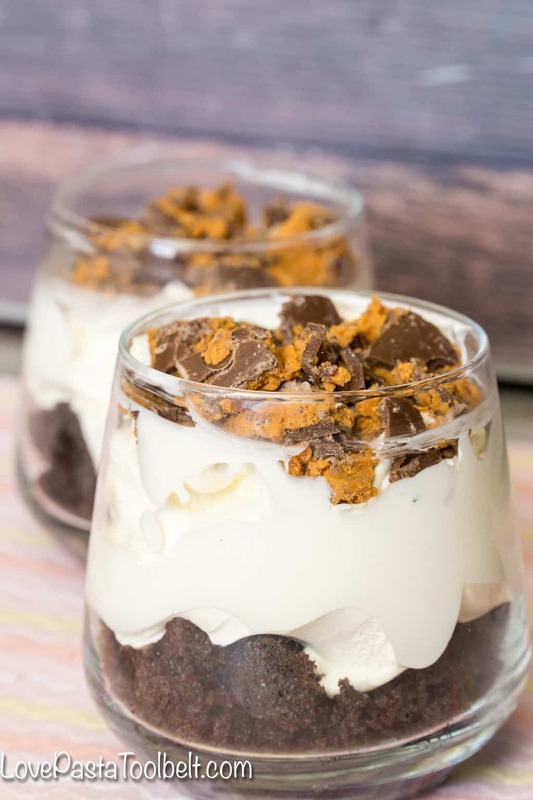 One way to make these Easy BUTTERFINGER® Trifles easier and quicker is to use a pre-made chocolate cake or just grab a simple box mix cake. No need to go all fancy and make a homemade chocolate cake. Just cut up a pre-made one or throw together an easy box mix. It will save you time and stress! 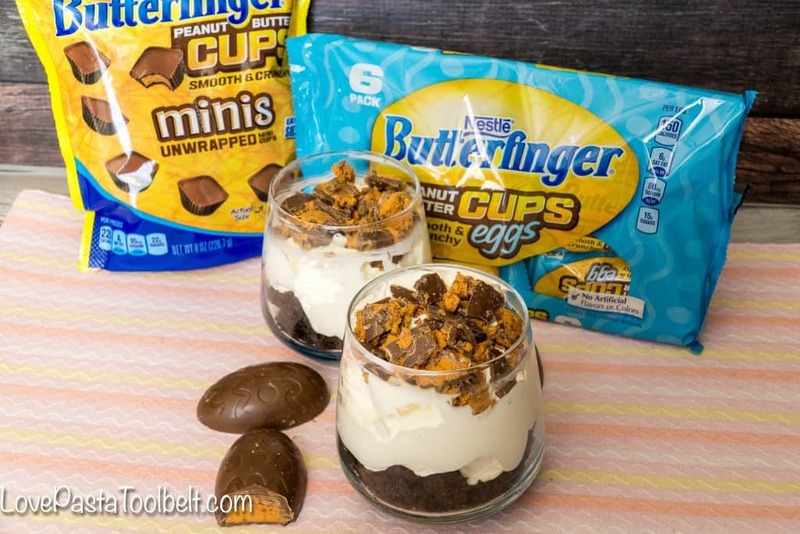 I love that BUTTERFINGER’s® have no artificial colors and flavor but have added colors from natural sources. It makes you feel better about your dessert. 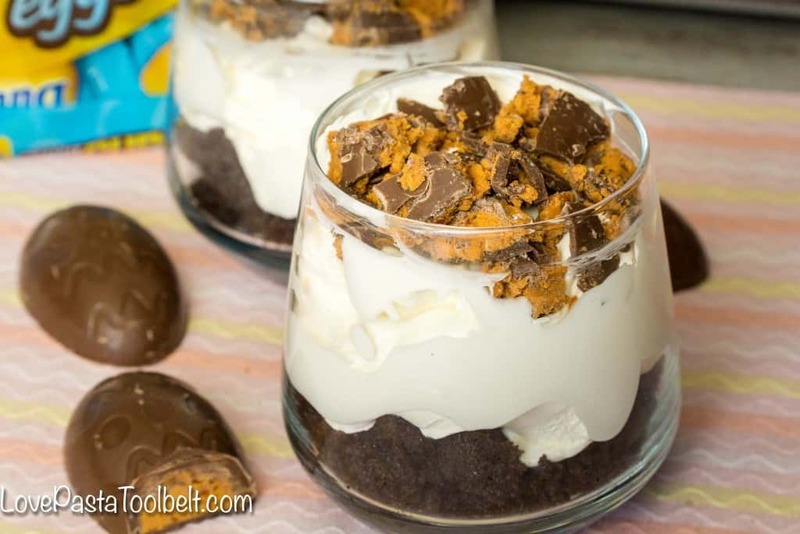 This will be a delicious dessert that your whole family will love and it will be perfect for a get together. 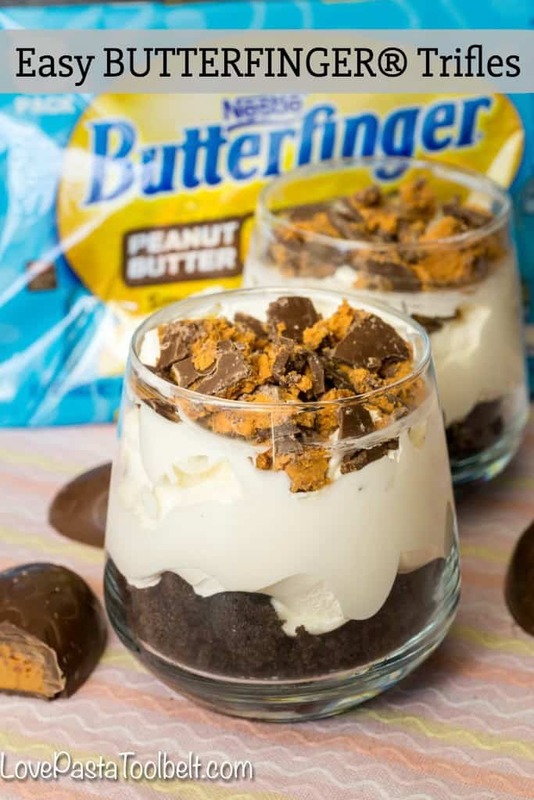 Now if you don’t have enough dishes for individual trifles or want to make a larger amount then you can make yourself a BUTTERFINGER® trifle in a big trifle dish and let everyone serve themselves, so many options! I’d love to hear what your Easter plans are? Anything delicious on your menu? 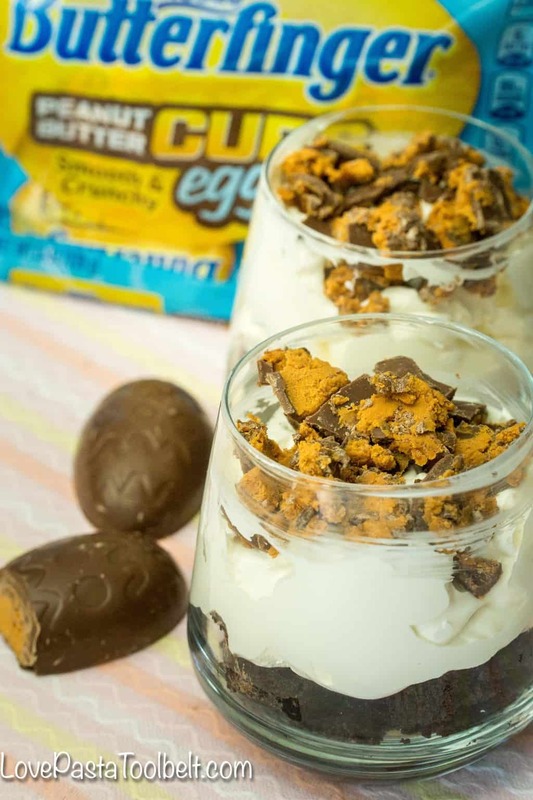 For more inspiration be sure to check out the Flavorful Moments Pinterest Board, visit the BUTTERFINGER® website or check out the ingredients of this product and other NESTLÉ® products here! These look delicious! But more than that, I just love your logo/header!